Photoshop plug-in creates fantastic surreal suns. Is there a better alternative to SolarCell? 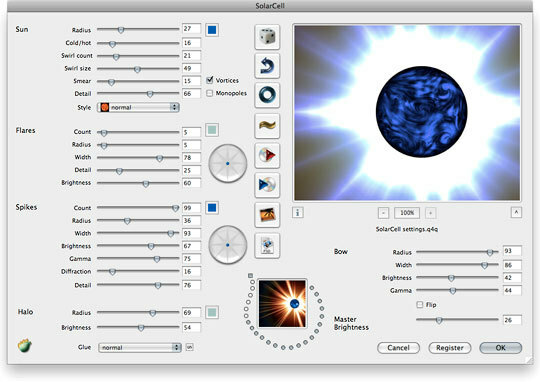 Is SolarCell really the best app in Image Editing category? Will SolarCell work good on macOS 10.13.4? SolarCell creates fantastic surreal suns. From modest white dwarfs to red supergiants, you design your own stellar phenomena. It lets you make brilliant stars in impossible colors, or tone down the settings for a more realistic look. Works in both 32-bit and 64-bit modes. SolarCell needs a rating. Be the first to rate this app and get the discussion started!